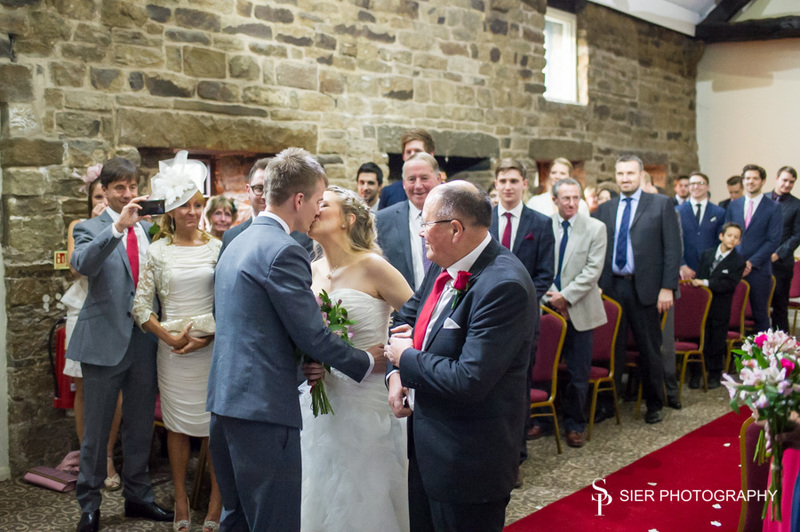 The Mosborough Hall Hotel in Sheffield was the venue for the Wedding of Marte and Luke in November 2015. We awoke to a blanket of snow which came as a bit of a surprise though most of it melted through the morning, the intense cold couldn’t dampen anyone’s spirits during the day. 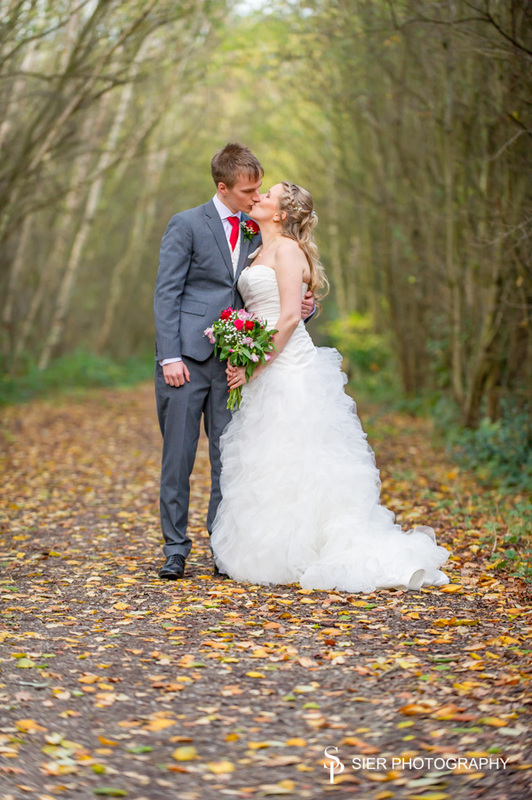 Marte and Luke are one of those couples you just need to see together to realise just how in love they really are with each other, a lovely day out at Mosborough Hall and wishing them happy times together! 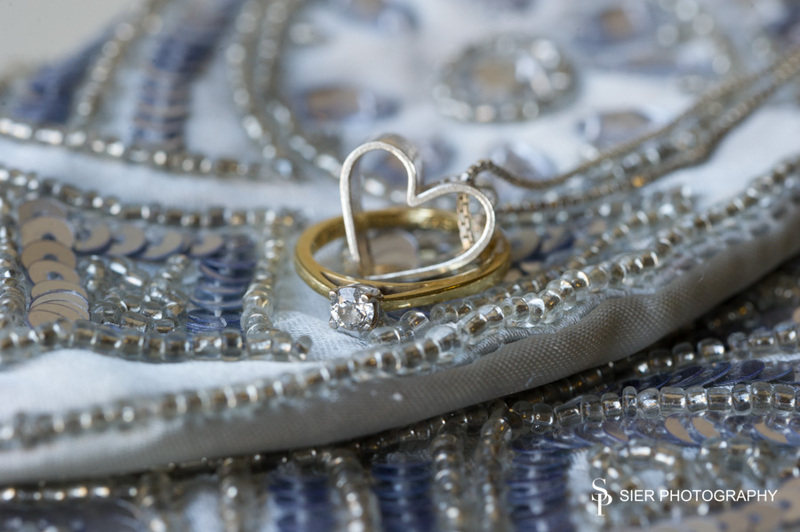 The start of every Wedding day such as this one at The Mosborough Hall Hotel in Sheffield has us capturing detail of all the important items that we might not get chance to photograph again later. 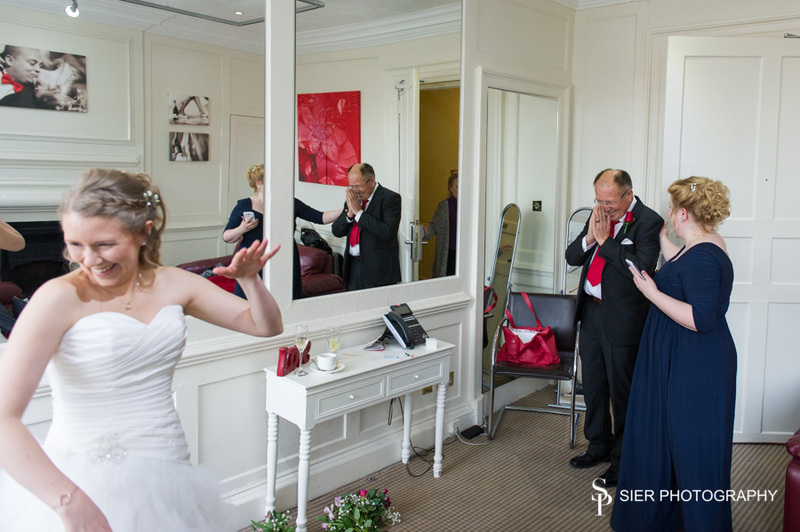 This getting ready part of the day at Mosborough Hall took place in the Ready Room, a large room with lots of light. 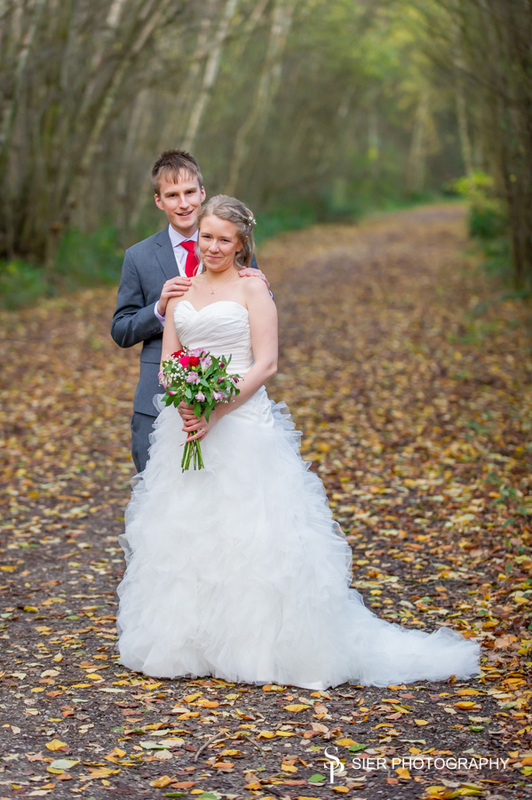 We then moved on to her Wedding dress. 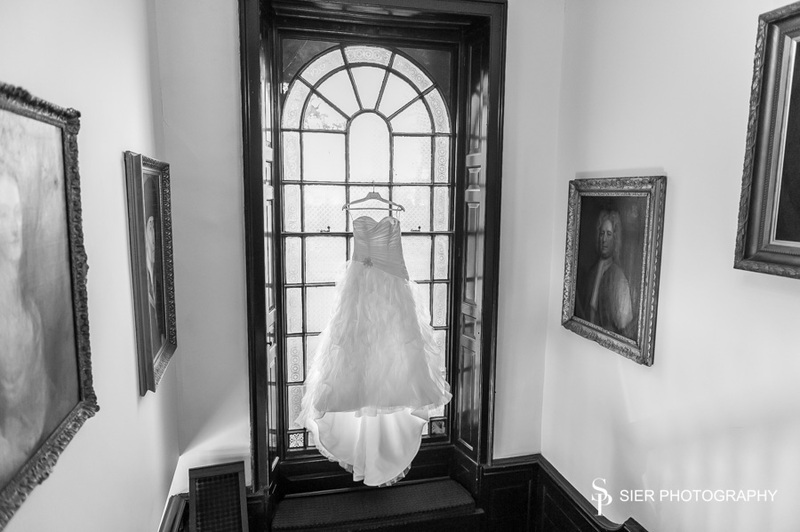 I like to place the dress somewhere out of the ordinary if possible, this window at Mosborough Hall is magnificent and really sets the dress off! 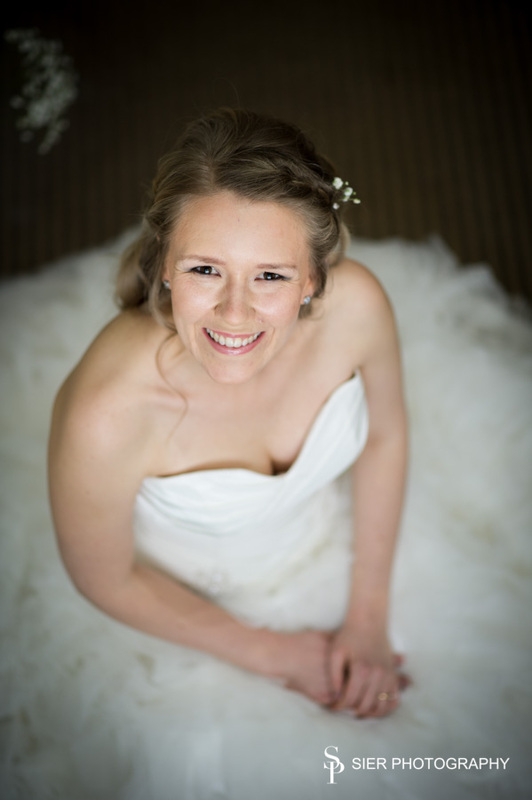 My favourite compositions for portraits of the bride, ready in her dress, hair and makeup done and ready for her big moment. 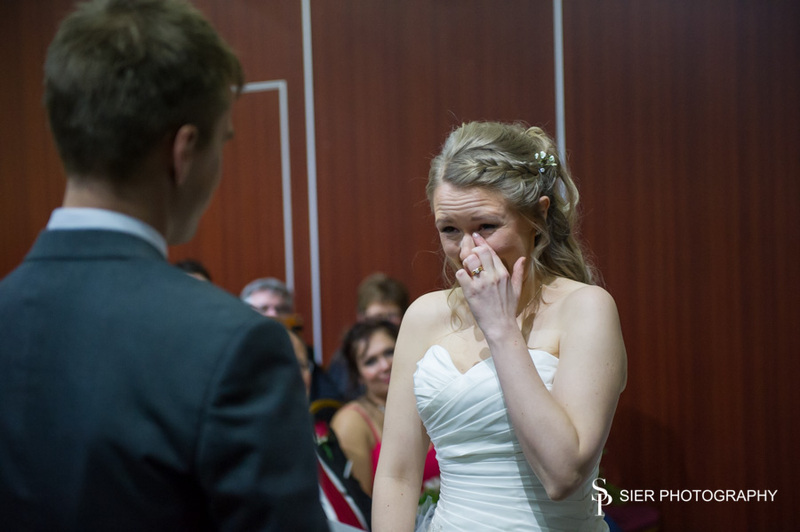 The Brides father sees his daughter for the first time in her Wedding dress, he was extremely emotional. It is important to capture these parts of the day as the memories of them can fade quickly. 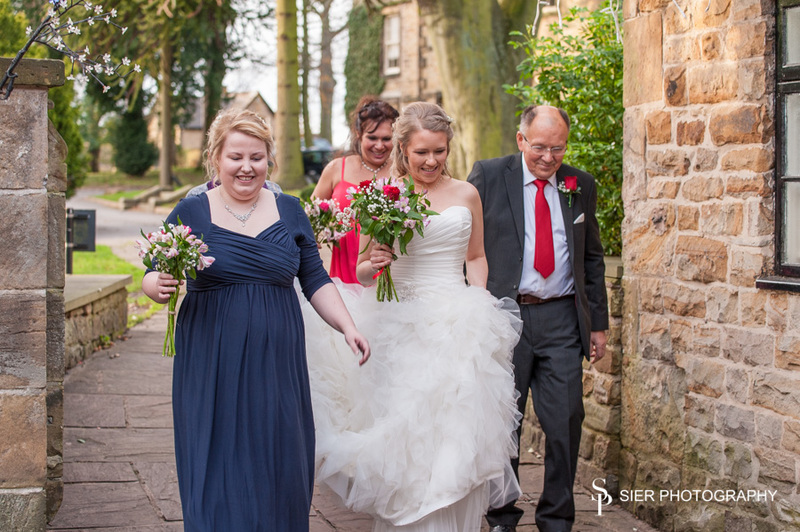 The walk from the main hotel building to the Chatsworth Suite for the Wedding itself. 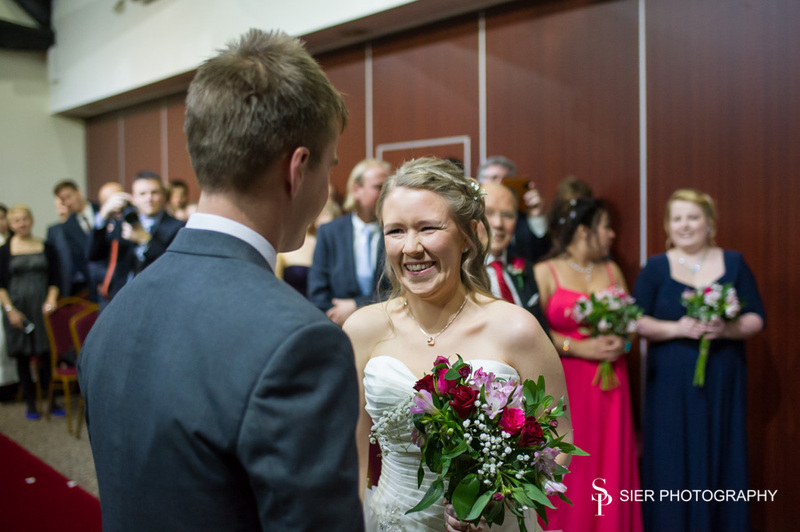 Dad hands over his daughter to her new husband at the start of the formal part of the Wedding Day. 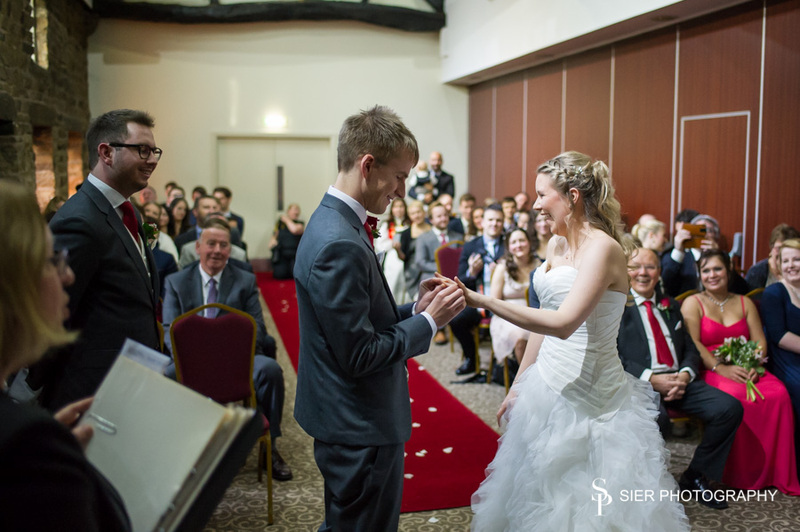 Exchange of rings during the Wedding Ceremony. Being part of the Wedding Day of a couple like Marte and Luke is a massive honour and something I really enjoy. 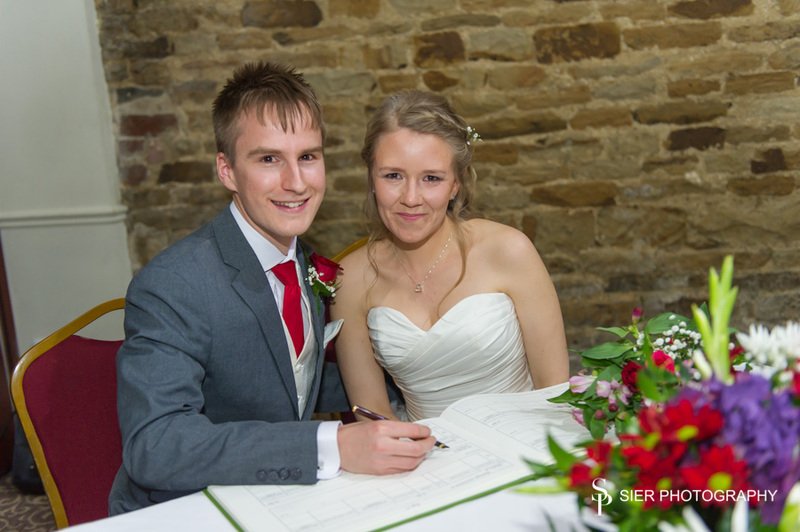 One very happy couple at the beginning of their life life together as Husband and Wife. The following images don’t give an indication of just how cold it was getting as the sun sank lower in the sky, being Norwegian Marte was the only one of the four of us who wasn’t cold! The warmth of these two melted the ice that was forming as the sun disappeared for the evening. 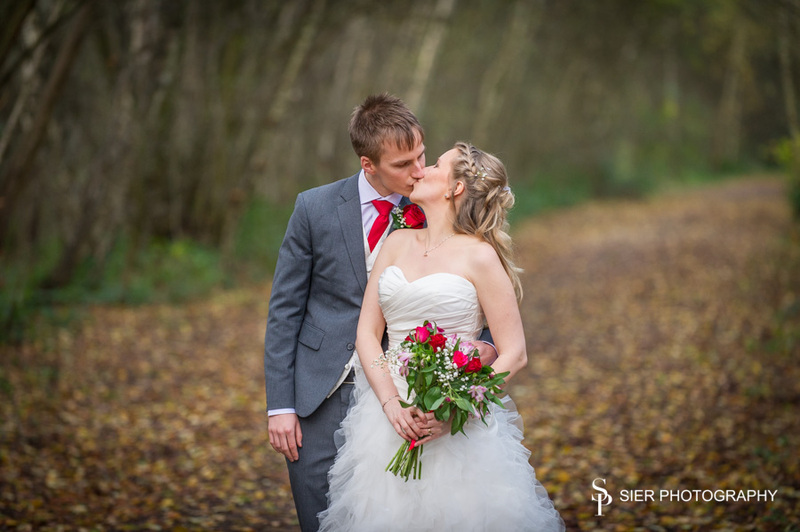 A stunning dress and an amazing couple, many thanks to them for letting us be a part of their very special day. 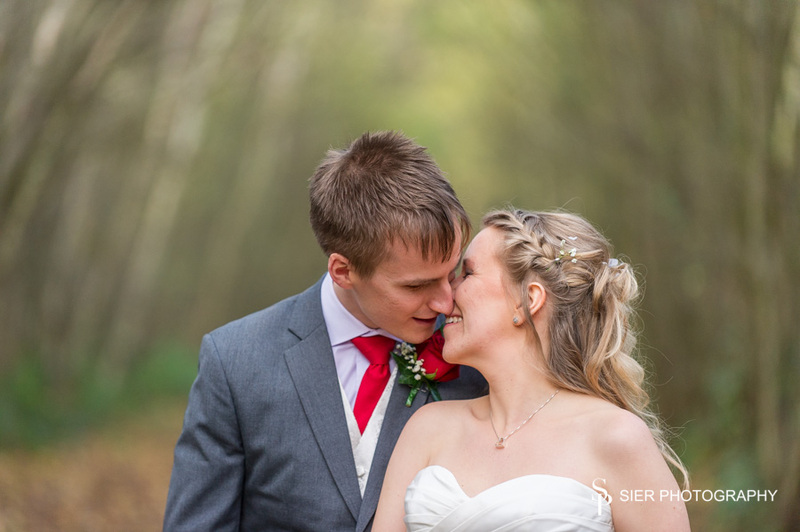 Some of the paths around Rother Valley Country Park make a surprisingly good location for Wedding portraits. 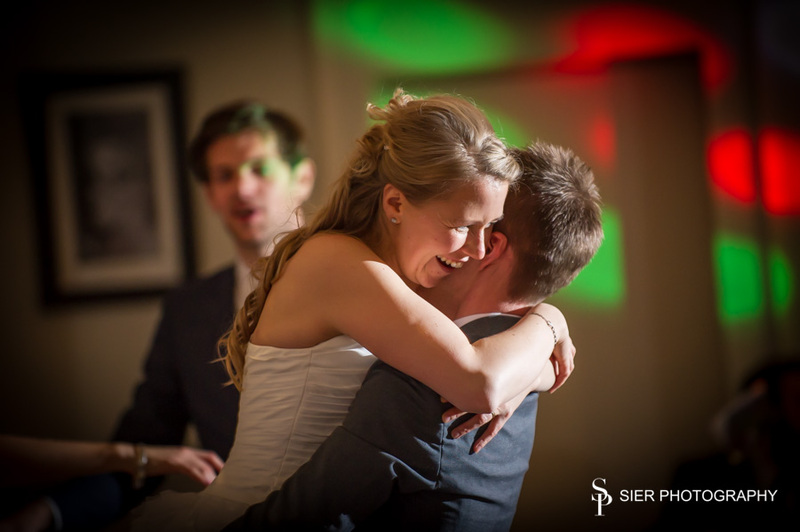 The first dance for the newlyweds marked the start of the event celebrations at the Mosborough Hall Hotel.